The Interlock’s lead developer, S.J. Collins Enterprises, is teaming up with Three P Partners to develop the 144-room hotel, which will come complete with meeting space, a bar and restaurant, and—as with most new high-brow hotel or residential developments in town—a rooftop hangout, Atlanta Business Chronicle reported. Jeff Garrison, a partner with S.J. 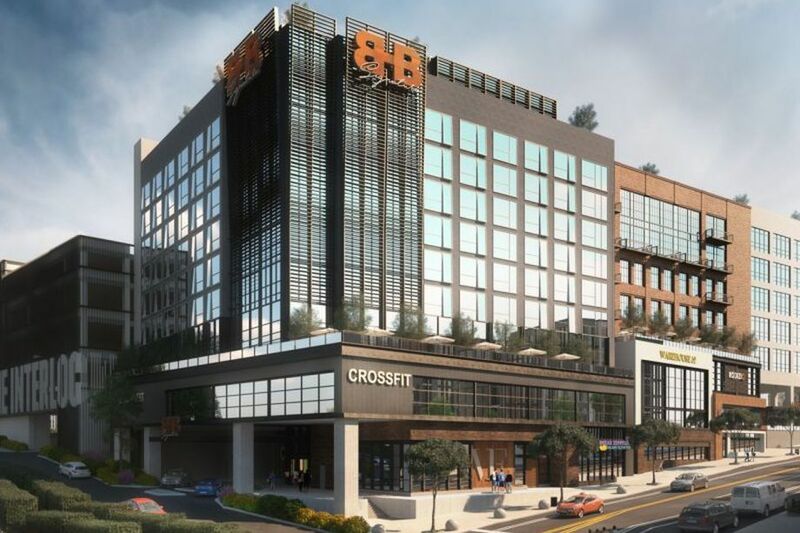 Collins, told ABC that West Midtown residents and business owners have been beckoning for a boutique hotel—or some similar product—for years, especially one that could fill the site that was deserted a few years ago by United Rentals. The Interlock, named after the Howell Interlocking Historic District where it will be developed, could also squeeze 200,000 square feet of office space, 90,000 square feet of retail, and upwards of 300 apartments onto the site—not to mention a few dozen single-family homes and this hotel. This mixed-use complex, which is also expected to flaunt its own multi-use trail network, is but one example of the many moving parts on West Midtown’s—and Howell Mill Road’s—development map. Developer Allen Morris Company in March finalized the purchase of a 1.7-acre parcel on Howell Mill west of Midtown, where it plans to build a 14-story office tower. And on 10th and Juniper streets, a decades-old affordable apartment complex was recently renovated and reopened—and it stayed cheap, too. However, what all this—and more—means for traffic problems on that already busy stretch of Howell Mill Road remains to be seen.